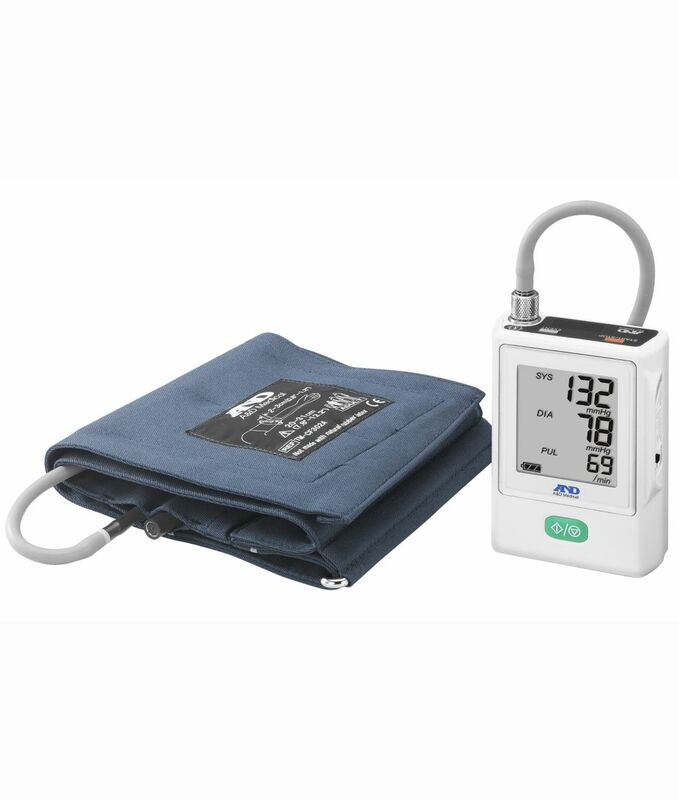 The TM-2441 and TM-2440 are both compact & lightweight Ambulatory Blood Pressure Monitors, which incorporate our latest technology gained from over 40 years experience in developing and manufacturing precision measurement equipment. This new ABPM range was validated in accordance with the new ISO810601-2 protocol, and the blood pressure accuracy was proven to be +/-3mmHg. Weight: The weight of an Ambulatory monitor is a big factor when it comes to patient comfort and getting the best results. With the TM-2440 weighing only 122 grams, and the more feature rich TM-2441 weighing just 135 grams, this makes the new A&D range the lightest in this class. 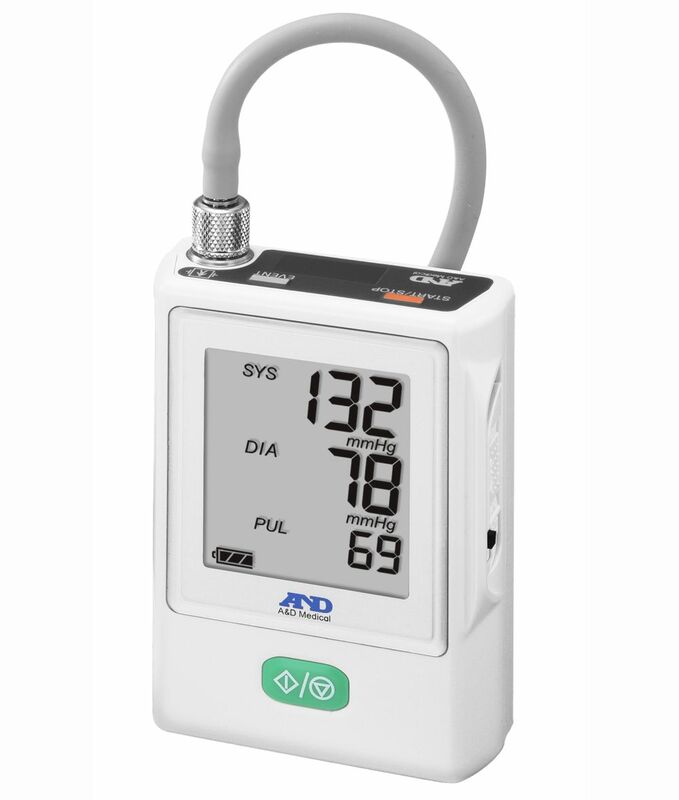 This helps ensure that your patient will hardly know they are wearing their A&D Ambulatory Monitor. 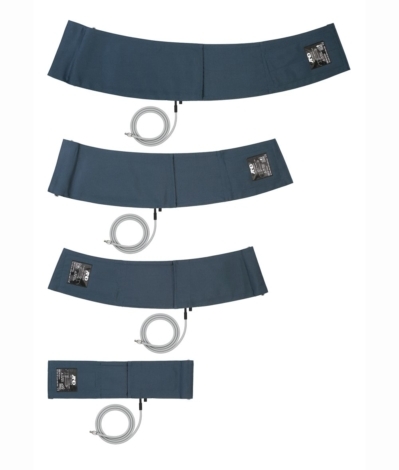 Compact Design: The size of an Ambulatory Monitor is another important factor when choosing a device that a patient can easily wear comfortably and discreetly for long periods of time. The new TM-2441 and TM-2440 are the smallest in class, measuring just 66mm x 24.5mm x 95mm (WxHxD). This again, helps ensure that your patient hardly notices they are wearing their A&D Ambulatory Monitor. Soft cloth cuff: Unlike some of the rough plastic cuffs available on some older devices, the TM-2441 and TM-2440 benefit from a soft, machine washable cloth, to ensure maximum comfort whilst the patient wears the device over long periods of time. 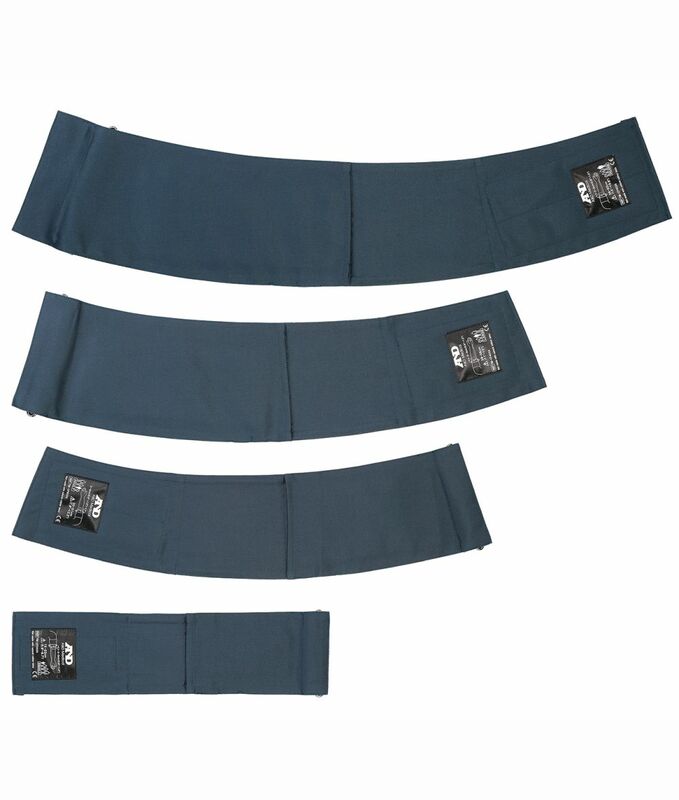 The cuff range offers Upper Arm fitting from 15cm through to 50cm – ensuring peace of mind and a comfortable, accurate fit. 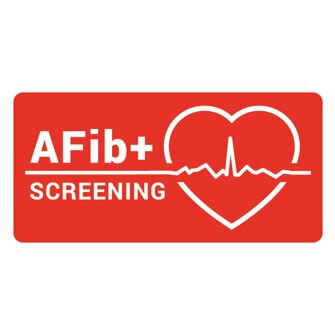 AFib+ : Having pioneered IHB (Irregular Heart Beat)/Circadian Rhythm analysis technology in 2001, A&D have further developed this technology on the new Ambulatory Monitor range. The new monitors feature A&D’s new, unique Afib+ technology which allows patient screening for both Irregular HeartBeat and Atrial Fibrillation (AFib). 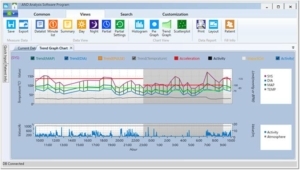 PatientView 360: The new TM-2441 provides the Clinician with a complete and comprehensive multi-sensor monitoring solution, allowing the tracking and recording of additional patient-centric information whilst they are wearing the device. By recording Activity, Temperature and Air Pressure, the new TM-2441 provides a more inciteful view of the patient beyond just blood pressure recording and heart rate information – helping build a better picture for better clinical decisions. 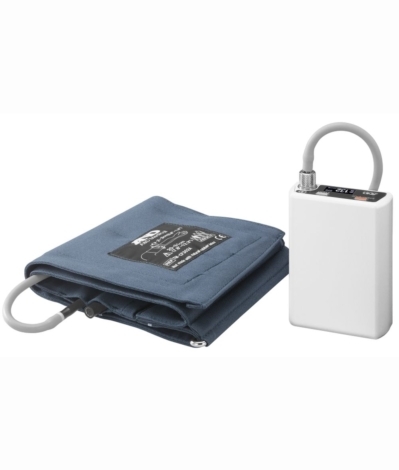 The TM2441 series records blood pressure as an oscillometric waveform. 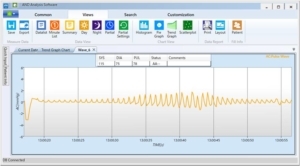 With our new analysis software you can check the waveform record for each measurement. Quickly determine the accuracy of measured values. Connectivity: The new A&D ABPM range offer both USB and BLE (Bluetooth Low Energy/Bluetooth Smart) as standard. This allows flexibility and easy data transfer to Electronic Patient Record (EPR) systems. Secure threaded cuff connection: Unlike some older ABPMs that have a push in connector, both the TM-2441 and TM-2440 benefit from a secure thread-locking connection. This helps to ensure the cuff doesn’t become detached whilst the patient is wearing the device during their everyday life, and that their readings are not lost or inaccurate. All-in-one monitoring solution: The new TM-2441 offers the clinician and patient complete flexibility, providing Ambulatory (ABPM), Home (HBPM), Office (OBP), Automatic Night Blood Pressure (ANBP), and Automatic Self Blood Pressure (ASBP) measurement/monitoring. ‘ABPM should be performed only with properly validated devices as an accessory to conventional measurement of BP [blood pressure]. ABPM requires considerable investment in equipment and training and its use for screening purposes cannot be recommended. ABPM is most useful for identifying patients with white-coat hypertension (WCH), also known as isolated clinic hypertension.